Synopsis (from Amazon): A young protégé of Edward Snowden flees the NSA after she learns that her project (KNOLL) is designed to detect and destroy any person with new facts about the conspiracy to assassinate JFK. The project’s latest target: a small-town attorney, son of a mysteriously murdered cop, who has just discovered his family’s involvement with deceased Mafia Kingpin Carlos Marcello, and the events that day in Dallas. All paths lead to a small Louisiana town that still hides its secrets, and converge on the doorstep of Marcello’s still-active savant of assassins. He is unstoppable. His creed: Omerta Is Forever. 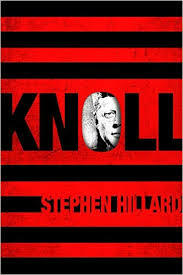 One (or more) Sentence Summary: Knoll is a fast-paced, easy read about the JFK Conspiracy. The story is told through main character Bus McIntyre, a “small-town lawyer” whose dad was killed while being involved in the conspiracy. The chapters are short, so it is easy to bounce back and forth between characters. The story weaves the details of JFK’s assassination with some of the recent findings, and uses a little imagination to piece together the gaps. All in all Knoll was very enjoyable. 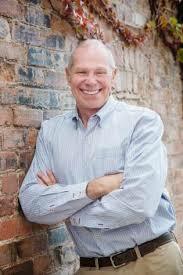 Stephen Hillard grew up in Bossier City, Louisiana, and Grand Junction, Colorado. He graduated from Colorado State University and later earned a degree in philosophy at Columbia University and a Juris Doctorate from the University of Colorado. Before settling into his current career as a private equity entrepreneur, Hillard was a teacher at Rikers Island Prison, a welder, a carpenter, and a practicing lawyer. He lives in Grand Junction, Colorado.